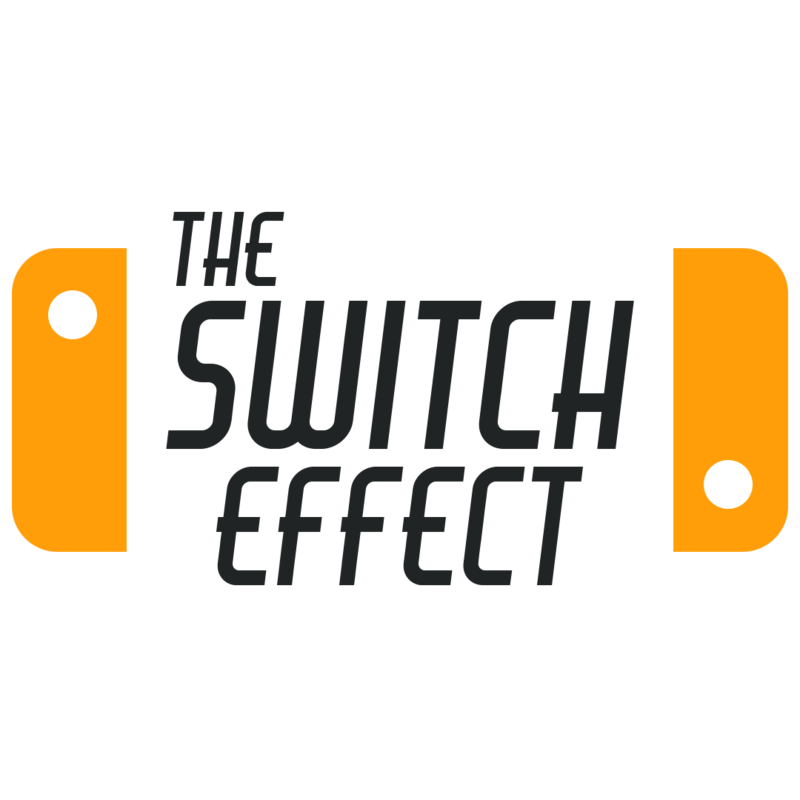 The Nintendo Switch has attracted a lot of games mimicking the graphical style of some of its most beloved past consoles like the NES or SNES. That makes sense; they’re all Nintendo consoles, so the fanbase that grew up with those games may be hungry with nostalgia for their childhood systems. There are even some younger fans that simply appreciate the history of gaming’s various art forms. 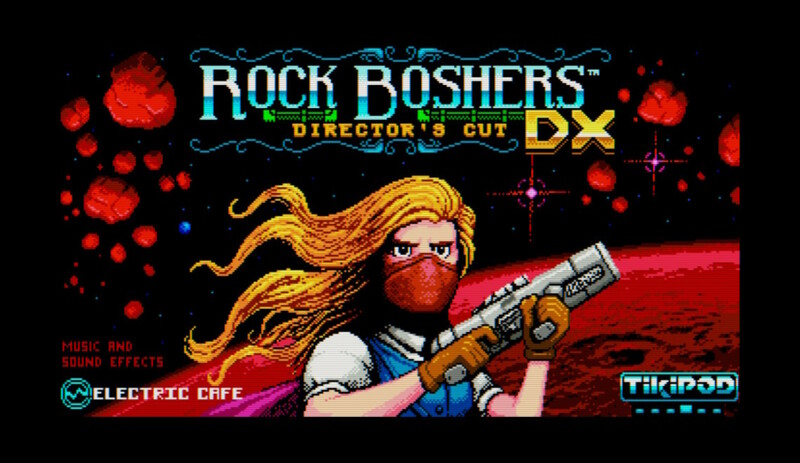 Rock Boshers DX Director’s Cut for the Nintendo Switch, on the other hand, goes a generation earlier, hearkening back to consoles like the Atari 5200 or older computer systems like the MS-DOS era. Regardless of your generation of choice for your nostalgia gaming, if you like top-down shooters with a retro flair, RBDX is for you. Mars is great. It’s big, wide-open, and ripe for adventure; or at least that’s what the stories in all the London papers are saying. Men of valor hungry for a new conquest flock to the giant cannons shooting ships to the red planet. Victoria, teenaged queen of the British Empire, wants in on the action, too. 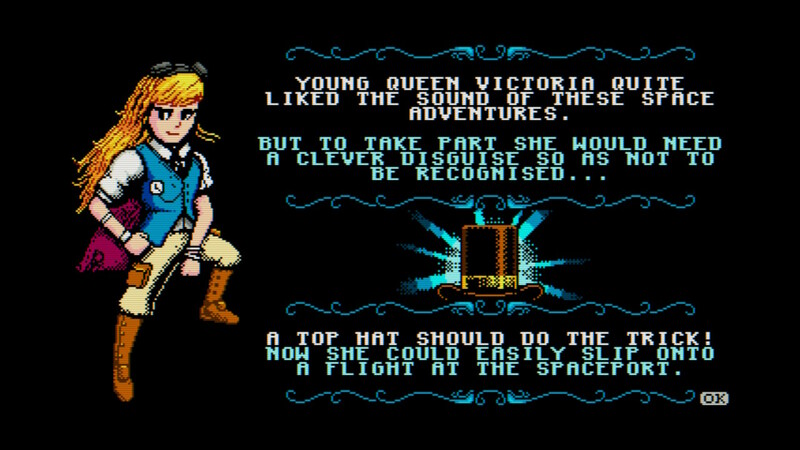 So she dons some trousers and a top hat and sneaks aboard the next giant bullet bound for Mars. Once her ship crashes lands, the occupants of said ship are immediately captured and enslaved in the mines. This is not what the papers promised! Who could be behind such lies and slander? Queen Victoria grabs a gun and prepares to shoot her way to some answers. 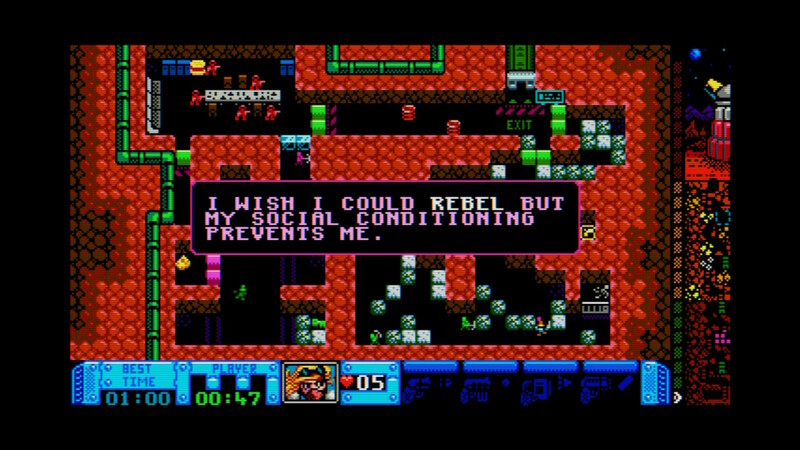 The story in Rock Boshers DX is surprisingly solid. 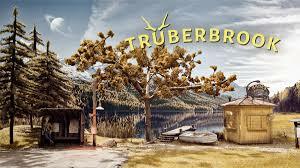 It’s not very deep or anything; there are no long or enthralling character arcs, but the opening cinematic paints a more developed world than many retro adventures. It provides a real motivation for Victoria and creates an interesting mystery for players to explore. I was just expecting to grab a gun and mindlessly shoot some Martians, and while there is plenty of that, I was pleasantly surprised to see that the developers made more than a token effort to implement a story into the proceedings as well. 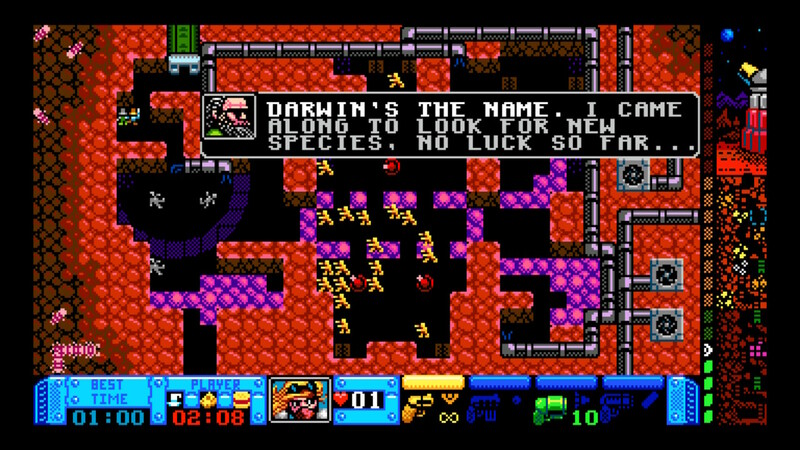 The main action of Rock Boshers DX is shooting. You move around with the left stick and shoot with the right. Aiming and moving are both eight-directional, which is kind of cheesy because your enemies can fire in a 360 degree arc. Still, it is more challenge than frustration, so I’ll let it slide. Your basic weapon is a pistol with unlimited ammo, but you can upgrade to a machine gun, rockets, lasers, and even a friggin’ tank as long as you find the ammo in the level. Ammunition does not carry over into new levels, so if you find rockets or something don’t be stingy with them. There are three different areas of Mars, each with eight levels. Each level has a series of obstacles to overcome in order to get to the elevator and move on to the next challenge. Generally, this will include finding a series of keys to remove barriers with corresponding colors. There are some variations on these keys, including shooting computer consoles, but mostly it’s the keys. Enemies range from zombies to guards with guns to turrets to large drilling machines. Dodging enemy fire while making your way around a level is pretty much the name of the game. Scattered throughout each level is a wonderful spread for tea time. Every level has cheese, a scone, and a nice cup of Earl Grey. Collecting these items unlocks new mini games once you hit certain milestones. Well, OK, the first mini game unlocks if you sit through the entire PC loading sequence, but the rest unlock by collecting the tea stuff. Finding the collectibles ranges from obvious to total head-scratchers. 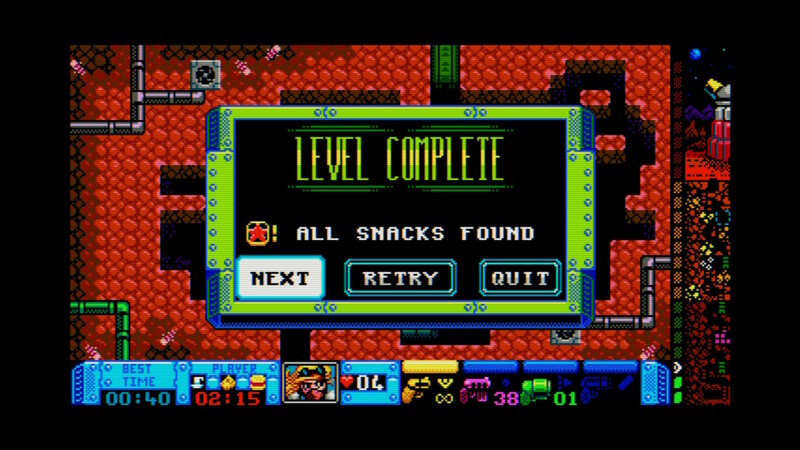 Sometimes there are hidden rooms in a level containing one of the items, and finding these rooms is a bit of a challenge. Sometimes you have to break rocks to find them, and some I still haven’t found after breaking every rock in the level and trying every wall for a secret room. So it’s plenty challenging. 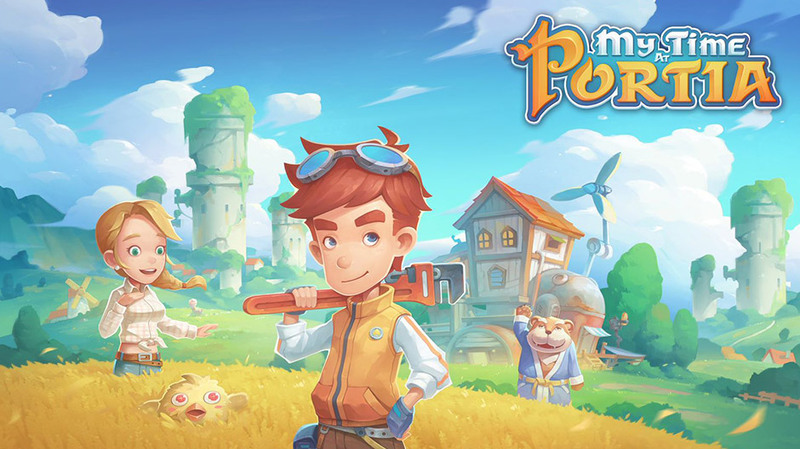 The mini games themselves are variations on the regular gameplay with a new wrinkle added in or a full-on additional game. For instance, the first game unlocked, Cheese Dreams, sees you shooting cheese until it drops diamonds. They diamonds change colors and then disappear after a set amount of time, and you get points for collecting the diamond based on what color it is. You’re being chased by zombies the whole time, too. The second is Tikipod’s first game, Aqua Kitty. It’s just the whole dang game as a side game! That’s pretty cool. The mini games don’t give you anything for the main game, they’re just little side games to have fun with. 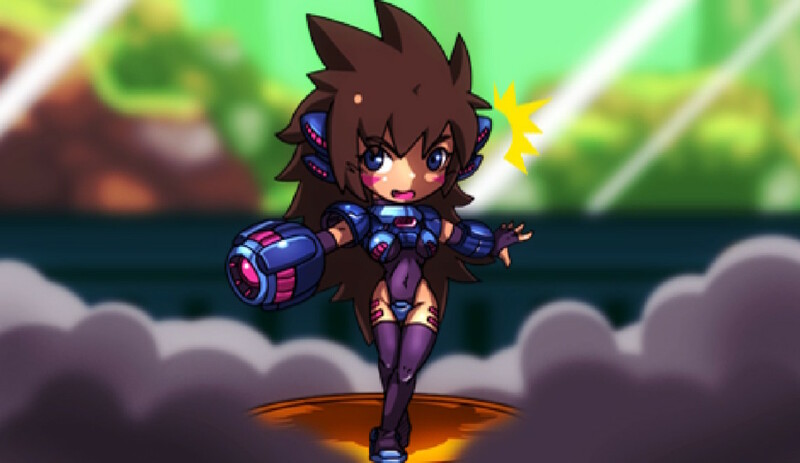 Rock Boshers DX can’t decide whether it wants to be styled after old console games or old PC games. So developer Tikipod split the difference and styled it after both. 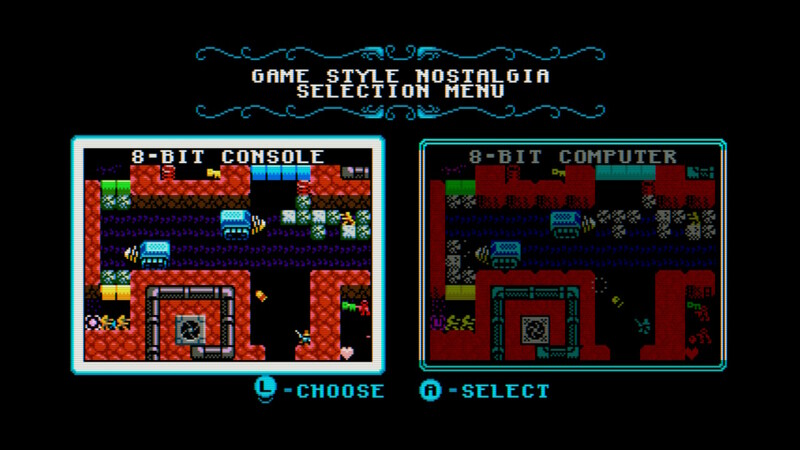 The first screen you encounter in the game asks you whether you want to play RBDX with console or PC graphics, and they’re both spot-on representations of older games. The console graphics are a little more detailed and attractive, but I can’t deny that the PC option ran pullmyheartstrings.exe in my DOS prompt. The sounds and music are similarly right out of their respective eras, completing a picture-perfect recreation of two different retro aesthetics. I’ve seen plenty of games get one right, but this is the first time I’ve seen a game nail two. The only drawback is that you can’t switch the styles out during the game; if you want to go from PC to console, you have to close the game completely and open it again. There are no touch or motion controls in Rock Boshers DX Director’s Cut, so you can play it docked or undocked as you prefer. Personally I think I’d like it best if I had a CRT television or monitor to hook it up to in order to complete the experience, but that would require more effort than I’m willing to put into this. Sticking strictly to the HD options on the table for me, I would say I liked it better undocked. My TV is too big for a game this dedicated to creating a retro aesthetic; something just feels wrong when I see these graphics on a 50 inch LCD TV. TL;DR: Fun retro twin stick shooter.